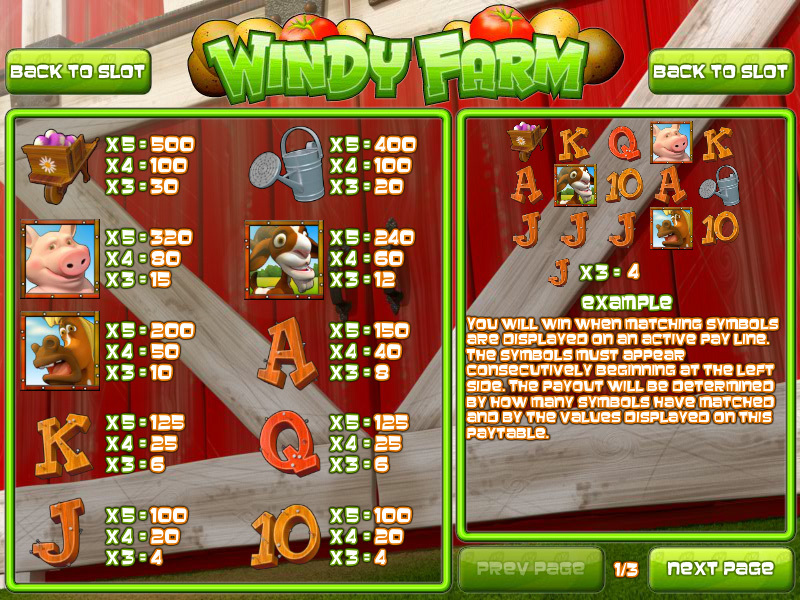 We Keep an eye on the weathervanes as the wind picks up quickly on the Windy Farm, a 50-line, 5-Reel Slot. 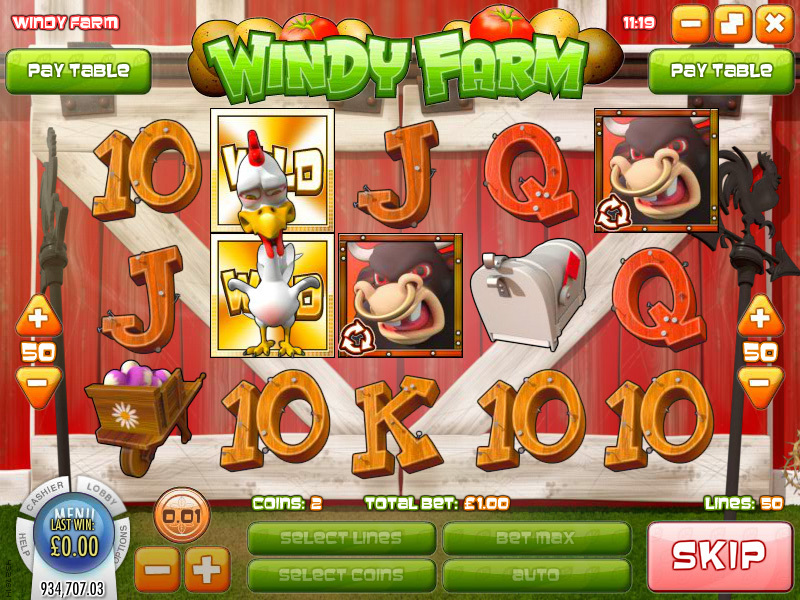 Spin the reels and watch as the wind scatters the Chickens across the farm. 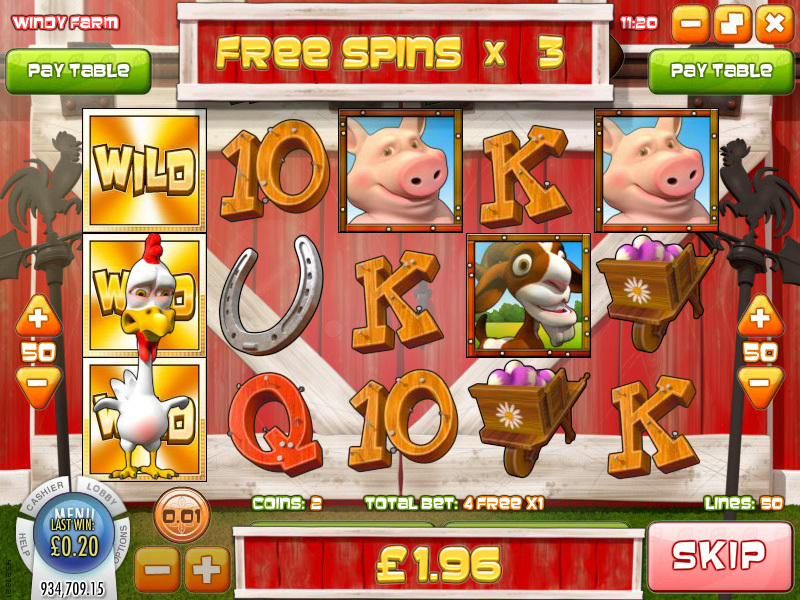 The Goats run and play as the Horse saunters by. 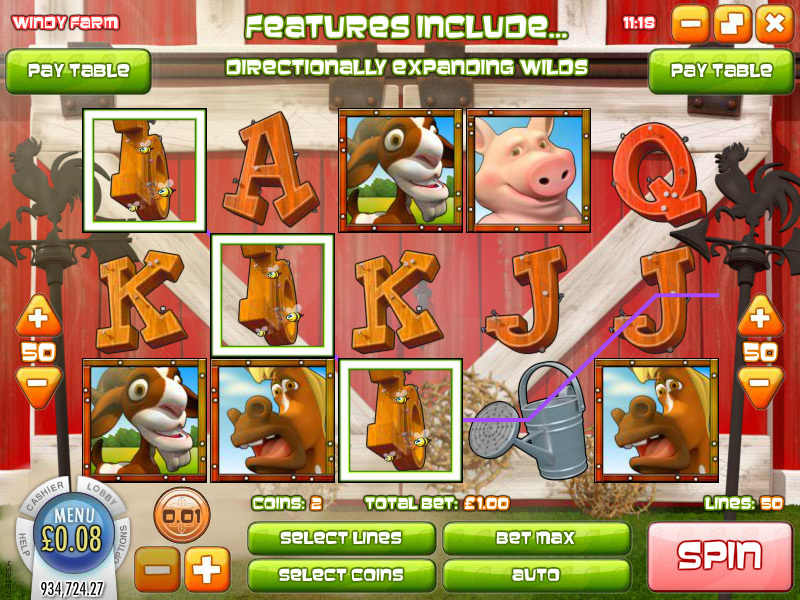 Slop the Pigs and watch out for the Bull! 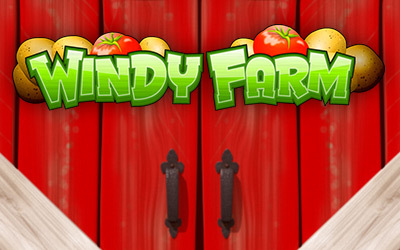 Grab the Watering can and Wheelbarrow, check the Mailbox, and clutch the lucky Horseshoe as you battle the win on Windy Farm. 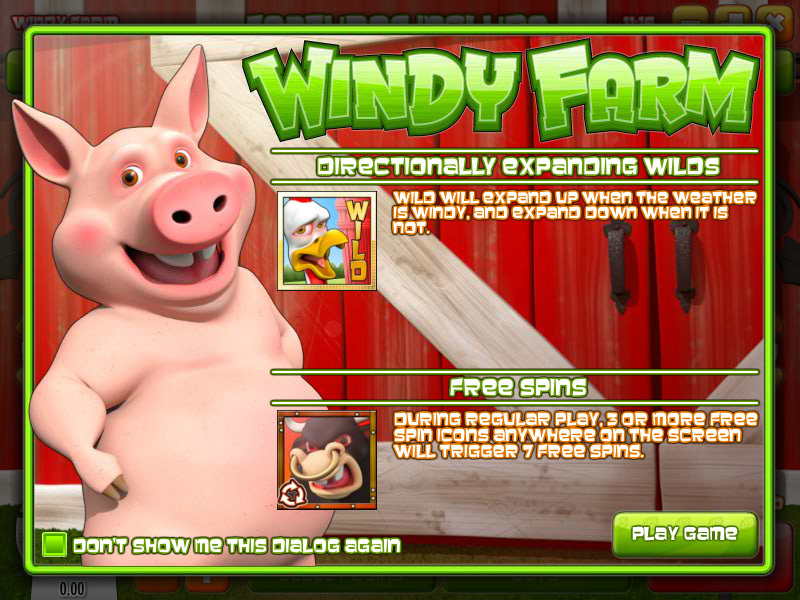 Windy Farm is full of mayhem as the reels spin and you battle the elements to keep control of the farm. 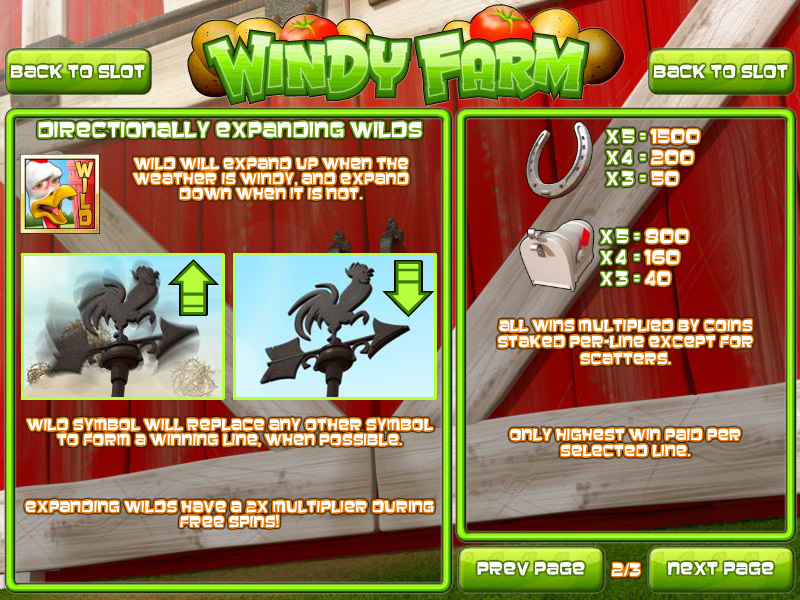 The Chicken icon is a Directionally Expanding Wild which adds more winning combinations, If the weather is windy the Wild expands upward, if the weather is calm the Wild expands downward. 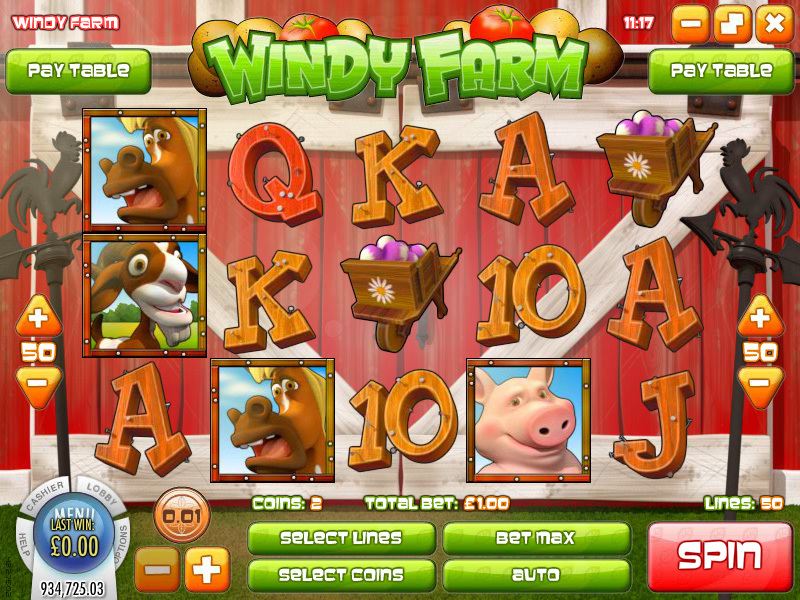 Don’t be afraid of the bull at Windy Farm, three or more Bull Icons will trigger the exciting Free Spin Round! 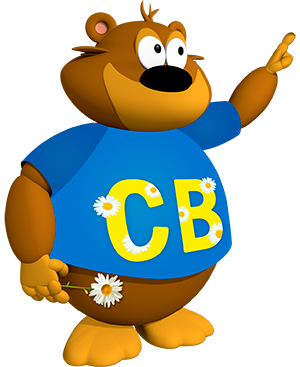 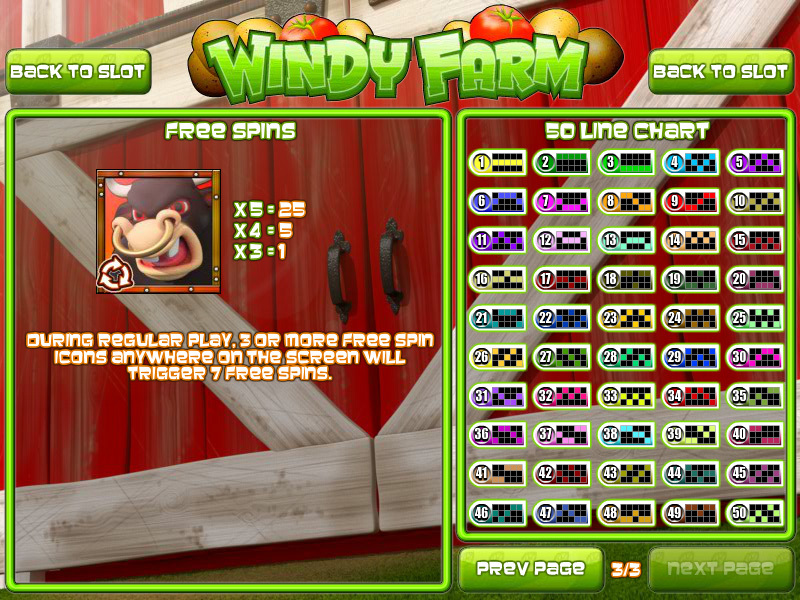 Get back to nature as you spin to win down on Windy Farm!